Zancle(the ancient name of the Sicilian city Messina) is an artistic project created by Serena Ferrara, Milanese singer of Sicilian origin, together with pianist Luca Dell’Anna and bassist Ivo Barbieri. “Zancle” is also the name of their first CD. Looking back to Serena Ferrara’s Sicilian roots in the heart of the Mediterranean sea, the album explores the sounds and pulses from the South of the world. Since 2008 their concert activity is intense: year after year their aim has been to create a project of unreleased material where their different personalities could be melted together with their respective ideas and musical influences, living at the same time a strong common understanding. In “Zancle” the varied influences of the musicians combine to create a vibrating, poetic and powerful world-jazz experience. 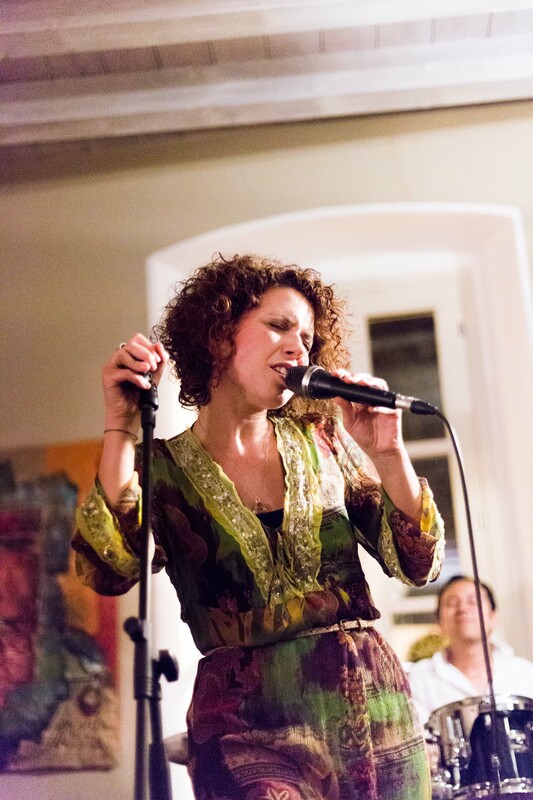 Serena Ferrara blends female tenderness with typical Italian toughness in her voice. In her songs, we can not only feel the freshness of sea wind from Mediterranean but also the intense sunshine. This unique sound can always bring the audience to the beautiful Sicilia, through the limitation of time and space. A powerful trio: to strengthen his music, Daniel has been inviting brilliant bass and drum players from Brazil. Well-known musicians have been participating in this project, in China they will be Elcio Cáfaro and Fernando Silva. Together they are the Daniel Marques Trio, presenting Daniel’s compositions and arrangements based on the repertoire of his albums and Brazilian classics. 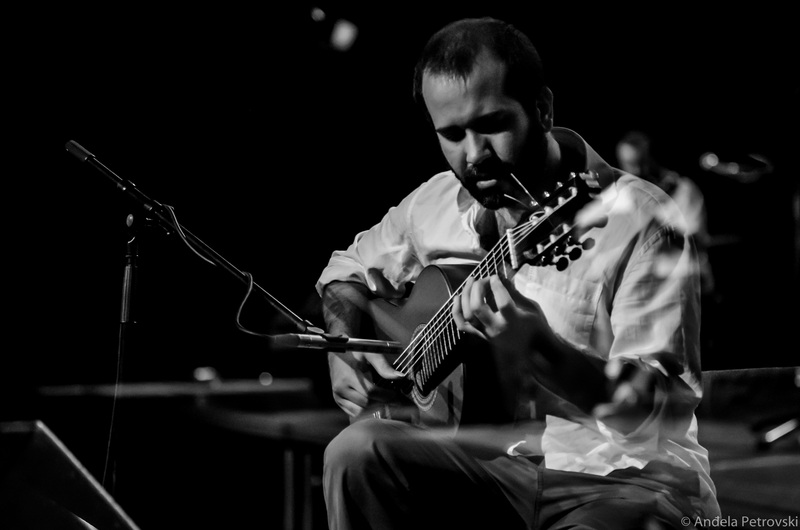 Daniel Marques currently is situated in Berlin and teaches at the Global Music Academy. Also he is listed as a professor at the International Art Academy in Greece. Previously he got his bachelor’s degree in acoustic guitar from UFRJ (Universidade Federal do Rio de Janeiro) in Rio de Janeiro and a master’s degree from the same institution. He had also the chance to be a professor in UFRJ for a few years before dedicating exclusively to his solo career as a performer and gathering recognition as an artist worldwide. As the leader, producer and arranger of Orquestra Frevo Diabo he won in 2010 the most important prize in Brazilian music, the “Prêmio da Música Brasileira”. He has presented various workshops and masterclasses in prestigious institutions internationally and participated in many TV shows as well. Daniel has performed alongside orchestras in more than 200 worldwide cities throughout Europe, USA, Asia and South America in festivals such as the Copenhagen Jazz, Calcutta Guitar Festival, APAP in NYC, SXSW in Texas, Chicago World Music Festival, Tampere Guitar Fest, Uppsala Guitar Festival, Haapavesi Folk and Nisville Jazz. APAP | NYC: APAP | NYC is the members conference of the Association of Performing Arts Presenters. Held each January in New York City, the conference is the world’s largest networking forum and marketplace for performing arts professionals. SXSW: South by Southwest (SXSW) is a set of film, interactive, and music festivals and conferences that take place early each year in mid-March in Austin, Texas, United States. It began in 1987, and has continued to grow in both scope and size every year.